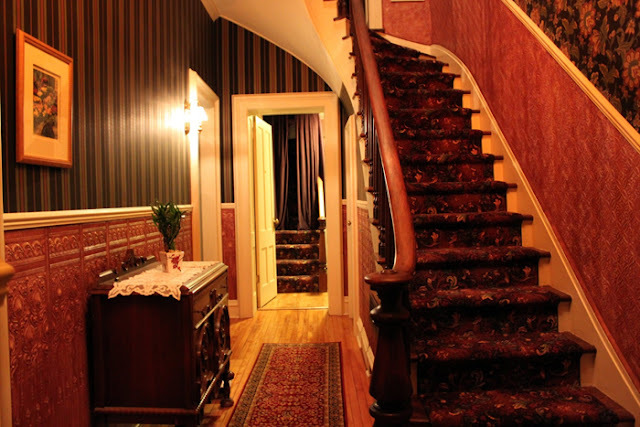 As we near the completion of production on Strindberg's Assistant, we are left with one last major location to shoot--The Livingston Inn in Madison, Wisconsin. 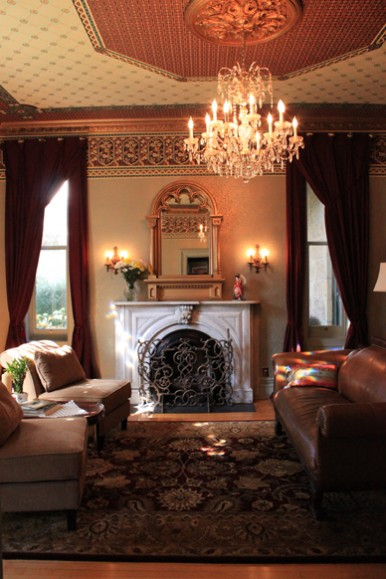 Built in 1854, this Bed and Breakfast is on the National Register of Historic Places as the William T. Leitch House. 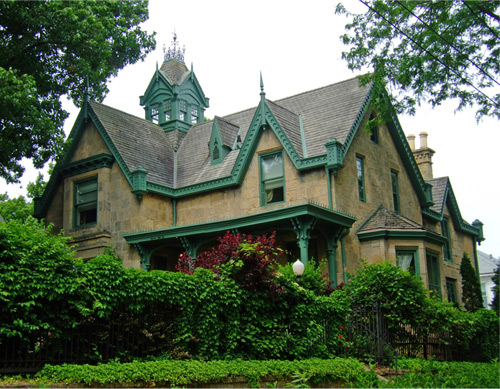 "It was constructed of local buff-colored sandstone which was quarried in nearby Westport, barged across Lake Mendota, and cut on the building site." It's a huge house inside with a myriad of rooms, three staircases, a cupola, and just the right look. The inside is decorated to approximately the period of our film. It's a beautiful setting. Main Staircase with Servant Stairs in rear. Can't wait to see the finished work! Production is scheduled to conclude on October 2nd. Then it's into the editing bay. We're excited about how things are looking so far.